Have you ever tried Lush's lotion bars? Apparently they are now called "massage bars"... fancy! Either way, I have purchased a few in the past, and they are fabulous! Living in Arizona, the air is so dry and I am constantly applying lotion to my hands to keep my skin from feeling tight and uncomfortable. These bars are a fun and mess-free alternative to traditional lotion! When I came across a DIY on Pinterest to make them, I knew I had to try it. They are so incredibly easy to make, and they only have two ingredients! By the way, this was my first time working with coconut oil, and I have about half of a jar left... any suggestions on what I should do with it?! I know that people swear by this stuff for all sorts of things! 1. Begin by melting the bees wax in the microwave. It takes a bit to start melting, so be patient. Once it starts to soften, break the wax into smaller pieces... it will start to melt faster this way. 2. 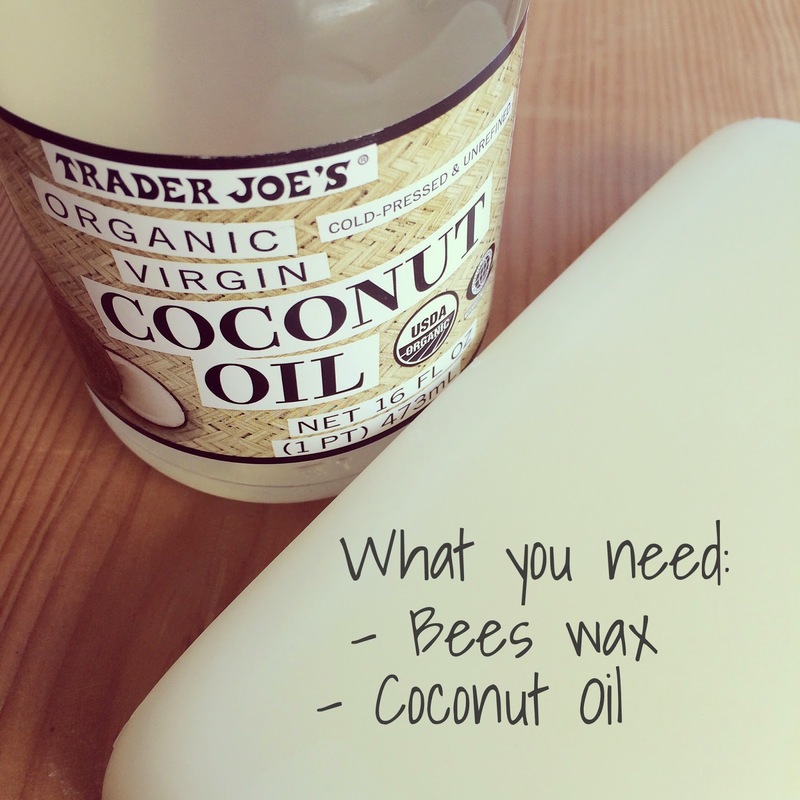 Once the bees wax is melted, add an equal amount of coconut oil. I just eye-balled it, but feel free to measure if you want to be exact. Stir until the coconut oil is completely mixed in with the bees wax. If you want to add any essential oils, add them at this time (I added lavender!). 3. Pour the mixture into soap molds. Let sit until completely cooled (after mine sat at room temperature for 10 minutes, I moved them to the refrigerator to speed up the process). 4. Once the lotion bars are completely set, they should just pop right out of the molds. 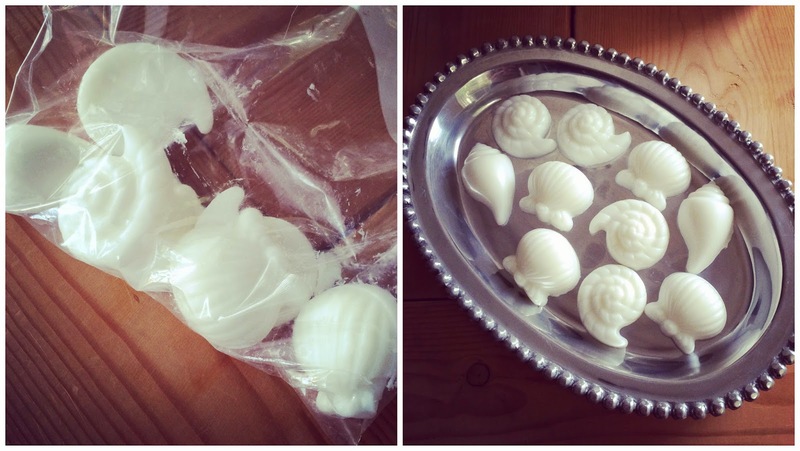 I used about 1/4 lb of bees wax and my mixture made 10 seashell-shaped lotion bars. Store the lotion bars that are not being used in a Ziploc bag and keep out of direct sunlight and heat. To use the lotion bars, warm the bars in the your hands by rubbing them together (similar to a bar of soap). Below 75 degrees the coconut oil is a solid, but when it rubs together with your hands and body heat, it will slightly melt. Rub the oils into your skin. By the way, I added a DIY tab to my blog to help organize my past projects... check it out for more DIY ideas! I plan on doing a similar tab for recipes (it just may take me awhile to sort through my old posts) - blog organization for the win! You did a beautiful job on the lotion bars--lovely designs! You have the best DIY projects!! Love this one, they look so pretty too! I swear by DIY lotion bars, I've been making and using them for over a year now and I think they are the best things ever! You can also add in other oils like grapeseed, or avocado oils which are great to nourish the skin. As for your extra coconut oil, I love baking with it! It gives baked goods a nice slight coconut flavor, and they say it's a healthier oil to cook with than some of the alternatives. 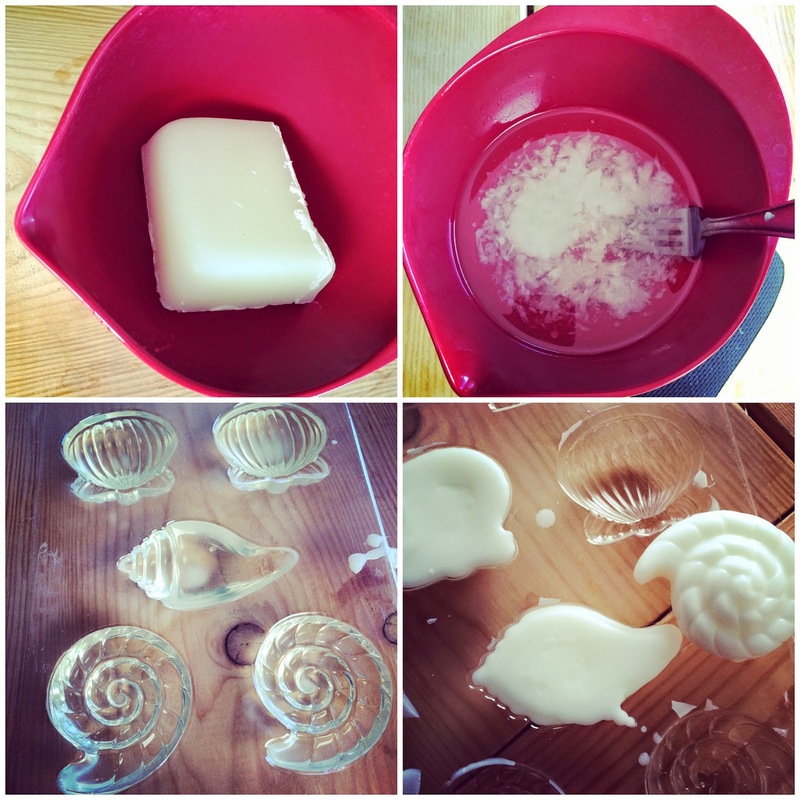 Love the seashell molds you used! I'm pretty sure that you could open up either your own etsy shop or a bed and breakfast with all your DIY's!!! OK. This is one I HAVE to try. I love coconut oil! I use it on my face at night as a moisturizer. These are SO cute! They would be such a nice gift for someone too! I use coconut oil for my hair-- only every once in a while because it can be a pain to rinse out, but it always makes my ends feel so much healthier and is a much cheaper alternative to so many expensive hair masks! This looks so easy and fun! I can't wait to try it! I love coconut oil! I use it on my face at night mixed with different essential oils! Wow, these turned out great! I foresee the perfect hostess gift! Love this idea. You are so darn crafty!! These probably smell amazing! 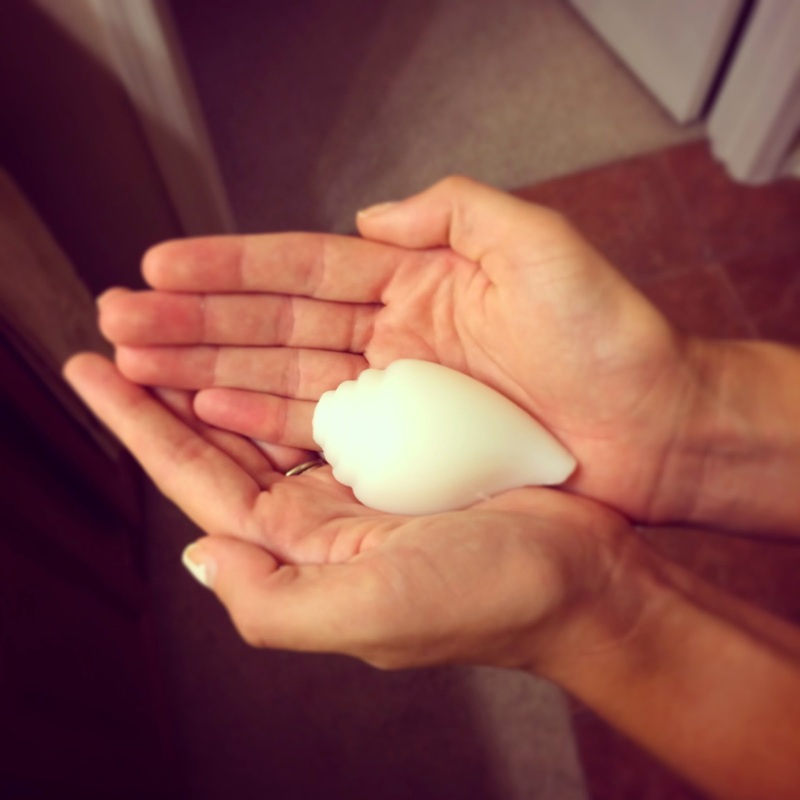 I love my homemade coconut oil lotion! I don't make it cutesy, but i do add Young Living oils for added benefits. Yours are so cute! That is such a great idea and so cute!! You are so crafty. 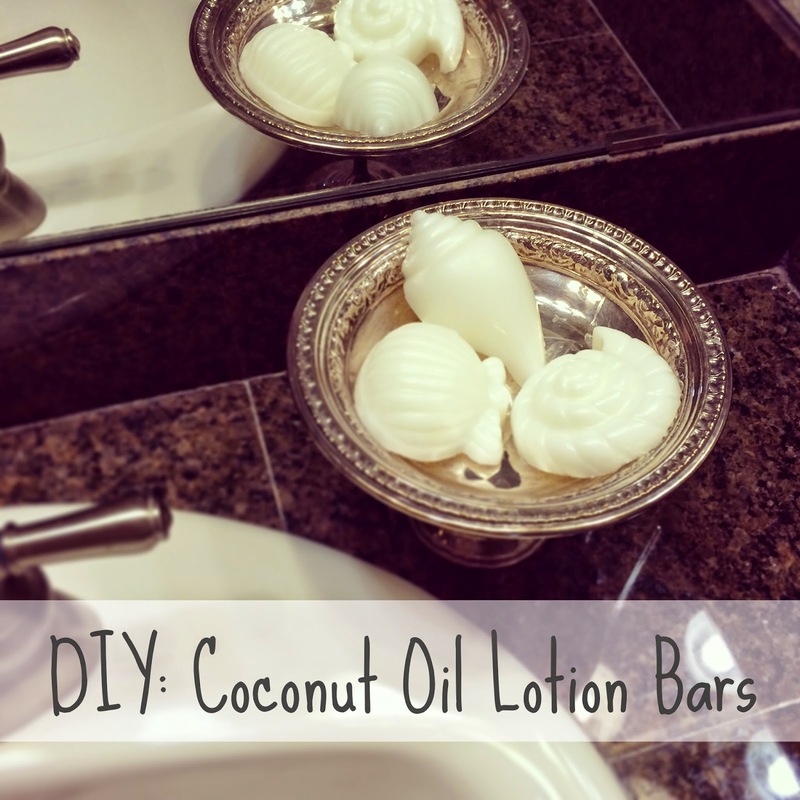 I've never heard of lotion bars, but I like it and they would be great to have in winter! this is brilliant! not gonna lie, i totally want to eat them - they look like chocolates! I LOVE Lush products, they are so fun! I had no idea these massage bars were that easy to make. Pinning! I can't wait to try these!! I just bought a load of coconut oil so it will come in handy! !